Chimneys | Wilkens Contracting Inc. This winter season have you been noticing the poor state of your chimney or fireplace, leading you to question how your old, worn-out ventilation stack might be causing you and your home harm? Obtaining a new chimney could see you receiving many more benefits to your life than your poorly maintained chimney was giving you. Enlisting the help of our expert team of builders at Wilkens Contracting could hold you in great stead come the next winter season! 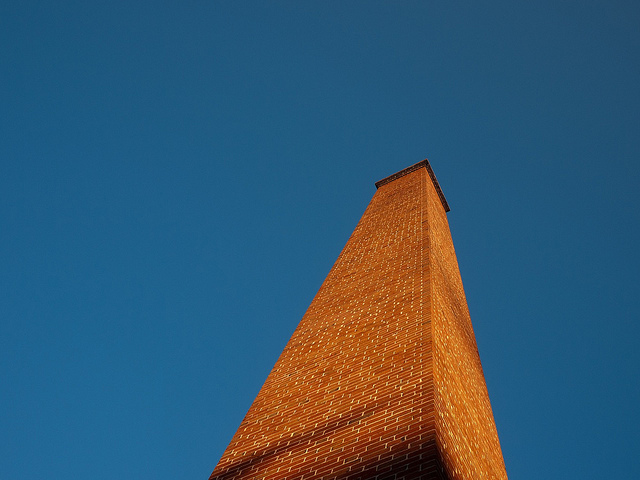 A chimney in poor working order will not be as efficient at heating your home and releasing the smoke out into the sky. You might not want to use it for fear of its degenerative state. With a new chimney, you can use your fireplace more effectively, heating your home without worry. Using your fireplace and new chimney regularly could also see you saving money when it comes to your heating bills. Your overall mood and emotional state could benefit this winter season thanks to a new chimney, as you will be more likely to use your fireplace. And what’s better than curling up by a fire, with a good book and a nice cup of tea during the winter? Not much. Your fireplace is the perfect setting for a romantic evening in or a relaxing afternoon too. We offer a free chimney estimate to all of our potential clients who wish to hire us to build a new chimney, or repair their old one. We do this as a way to show our sincerity at transparency. Just provide us with your contact information and what you are looking to have done, and we will get back to you in a prompt manner! With the onset of winter, Toronto homes are turning to their fireplaces and heating systems to stay warm this season. Have you noticed the state of your chimney leaves something to be desired? Are you unable to use it this winter as it has fallen into disrepair? Wilkens Contracting offers quality chimney repair to the Toronto area, and beyond, to help those who need to keep warm this winter! Continue to read through this article to learn how our masonry company can help you this season. Wilkens Contracting has been servicing Toronto since our establishment in 1977. We are a fully licensed and insured family based company that aims to treat every client as if they were part of the family! All work is performed by our own team, thoroughly trained and wholly qualified to take on any masonry job you may need help completing. When you hire our company, for all of your masonry needs, you will obtain friendly and professional help, that will be able to extend the life of your chimney for many more decades to come. Whatever you may need; tuck pointing, replacing flue tiles, re-cementing chimney crowns, brick restoration, and more, our expert team has you covered. Don’t just take our word for it, check out our testimonials to hear from our previously satisfied clients. Unfortunately, chimney repair fraud is a very real thing. It is essential to understand this before contracting someone or some company to do the work for you. Some will attempt to frighten you into hiring them, using terms like carbon monoxide poisoning or house fires to pressure you into making a quick decision. If you feel as if you are being pushed or harassed into making a decision, then make the decision to push them out the door and look for someone else. With Wilkens Contracting, we will communicate with you openly and honestly about what your chimney or masonry repair would need, how much it would cost, and how long it would take. We offer a free masonry estimate to all of our potential clients as a way to show our sincerity at transparency. Just provide us with your contact information and what you are looking to have repaired or replaced on your chimney, and we will get back to you in a timely manner. Contact us online or visit our facility in person to get your repairs and builds underway with Wilkens Contracting today! Chimneys serve multiple functions within a structure- they provide a passageway for the smoke to escape, assist with the buildings heating process, add aesthetic to the structure as a whole and have been an asset to our homes for centuries. If you are in need of a new chimney in the Toronto area, look to us here at Wilkens Contracting to receive the best care on the market! 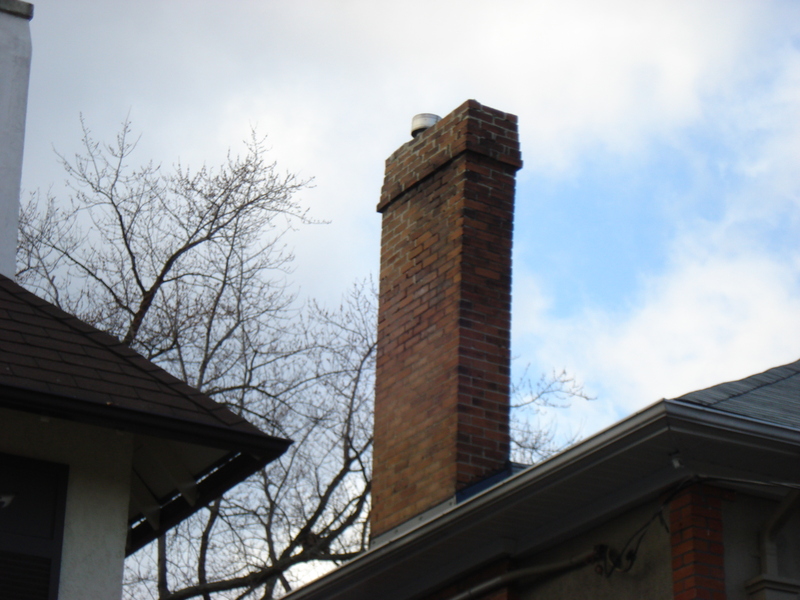 Toronto chimneys fall into disrepair due to two main reasons: the elements and the exhaust of the heating system. With Canadian winter coming on quickly, you should look to the integrity of your chimney now more than ever. The wear and tear from our weather, combined with the required heating to ward off such weather, Toronto chimneys see a lot of use during the colder seasons. When the warm exhaust of the furnace or boiler coincides with the cold air from outside, condensation collects along the exposed chimney and the base of the roof. This ongoing moisture deteriorates the brick causing crumbling or spalling of the material. If left too long, the stack can begin to rot, making it essential to repair or rebuild to continue to serve its purpose adequately. Chimneys mainly need repair on the outside of the home, atop the roof, as that is where they are vulnerable to the elements. Wilkens Contracting understands this type of elemental damage in the Toronto area and can provide you with a new chimney that can withstand the region’s harsh weather. Many people hold to the belief that the design of the top part of your chimney is to blame for the deterioration of the entity as a whole. That older designs of chimneys cannot withstand modern heating and should be substituted with concrete caps as a means to offset the damage caused. This is simply not true. Companies push the use of precast concrete caps, a product produced after the 1950s. Wilkens Contracting understands that many Toronto homes were built before the 1950s, and as such, should receive chimney care and products that match the time period and design of the structure. 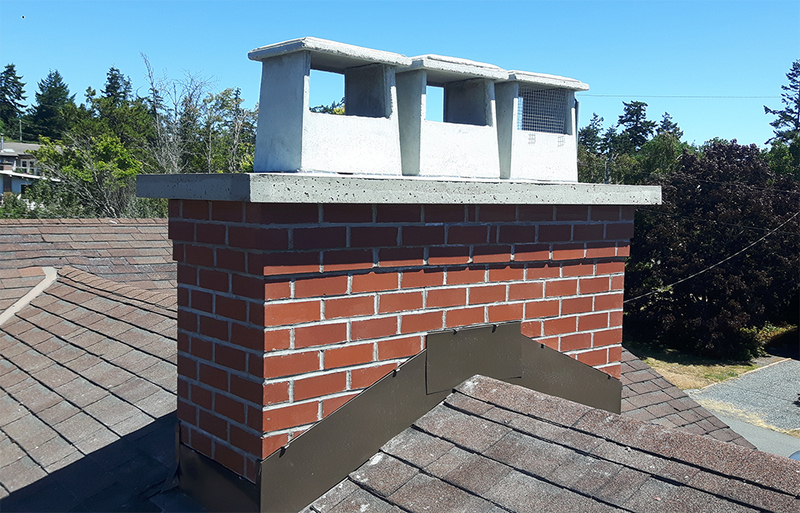 Here at Wilken Contracting, we believe that placing a corbel top on your new chimney will keep the historical integrity of your Toronto home while still serving the function they were initially designed for, without compromising the effectiveness and performance of the overall chimney. Next time you are in an older part of the Toronto area, take a look at the chimneys and notice the use of the corbel designs! 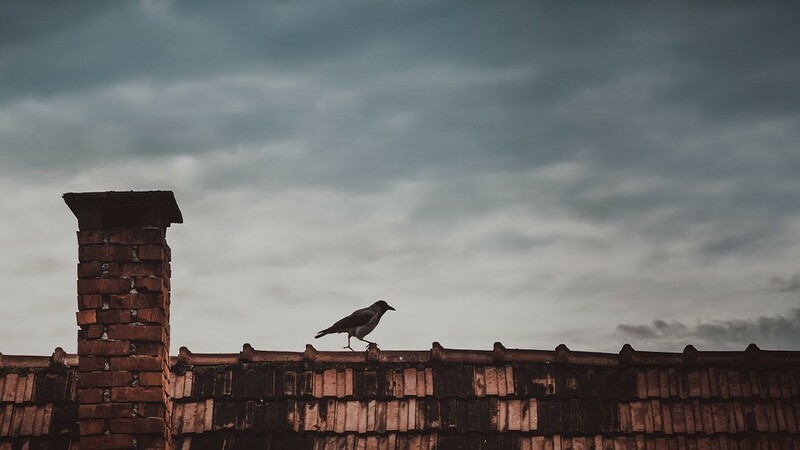 With decades of experience in the Toronto area, Wilkens Contracting knows what materials and designs are needed in the case of a new chimney or chimney repairs. Contact us today to find out more about what our company can do for you and your chimney needs. As the autumn months give way to winter, our chimneys and fireplaces will begin to see extra use. Don’t be caught out by your broken chimney this season, enlist the help of Wilkens Contracting for all of your chimney repairs and rebuilds before its too late! Read on to learn how Wilkens Contracting can help you and your chimney this winter! Keeping the masonry of your chimney in good repair is vital to the overall integrity of your structure. A chimney should be able to last fifty years or more when it is correctly maintained. This includes regular cleaning of the fireplace flues and checkups of the chimney masonry. If you notice that your chimney is spalling, breaking apart and crumbling, or the mortar is cracking, then contact Wilkens Contracting to get your chimney repairs underway. 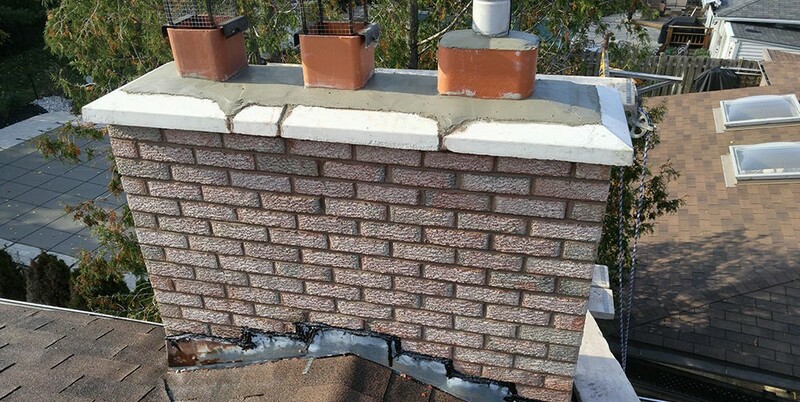 We can repair crumbling brick, disintegrating mortar joints, rusted dampers (located in the throat of the chimney), and more! Sometimes the chimney is too far gone for repairs and is not structurally sound enough to be considered safe. If your chimney is leaning to the side, or showing signs of significant brick deterioration, with large gaps of mortar missing, then a rebuild is in your best interest. Our masons have access to an extensive collection of old and antique bricks so Wilkens Contracting will do our best to match our materials to the ones of your home. We also colour match the mortar so your repairs and rebuilds will blend in with the rest of your home, making an aesthetically pleasing alteration. Having worked in Canada for the whole of our existence, since our establishment in 1977, we understand the volatile weather conditions of this beautiful country. Chimneys are freestanding structures that are completely exposed to the elements at any given time. This constant exposure can wreak havoc on your chimney’s structural integrity and should, therefore, be checked seasonally for damages. If you find you are in need of chimney repairs before this region’s harsh winters hit, now is the time to get in contact with Wilkens Contracting. 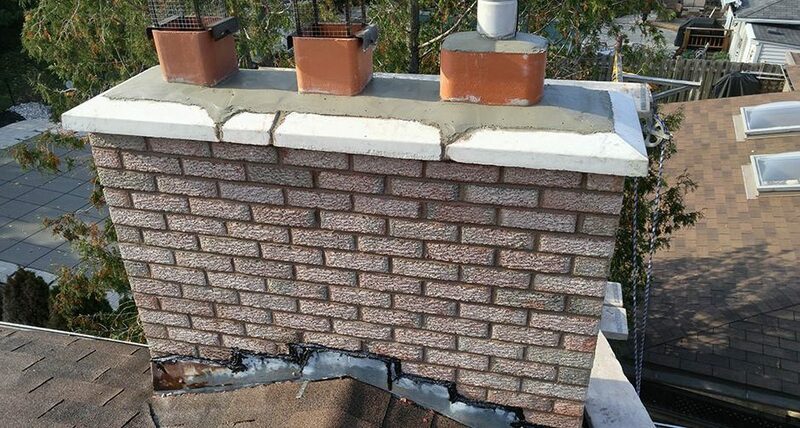 One of the top masonry repair facilitators in the Greater Toronto area, Wilkens Contracting can complete all of your chimney repairs, builds, or rebuilds. Fill out our free estimate form, and one of our knowledgeable and friendly employees will get in contact with you right away! Contact us online or in person to get your project underway! Despite the fact that chimney maintenance is so important, people tend to either forget about them or neglect them. Often it is simply that they are not that noticeable when walking around the yard. In this article by Wilkens Contracting Inc. we will talk about the importance of chimneys in Toronto. Read on for more information. The most common problem with chimneys in Toronto is wear and tear due to the elements and the exhaust of your heating system. As the chimney is completely unprotected from the weather it gets deteriorated more rapidly than the house walls. Since the advent of more efficient heating systems chimneys in Toronto are subject to condensation from the warm exhaust of the furnace or boiler coming into contact with the cooler air of the exposed chimney above the roof. The damage shows up as either the mortar joints wearing out or the bricks crumbling or spalling. If the mortar joints are eroding the repair could be as easy as simple tuck pointing. Once the bricks begin to rot the chimney usually needs rebuilding. The reason for rebuilding at that point is that the spalling bricks are the worst and easily visible. The adjacent bricks will have degraded as well so replacing just the few obvious ones will still leave you with an unsound structure. Most chimneys can be rebuilt from the roof up as below the roofline they are well protected by the eaves and haven’t been worn out. If your chimney is in need of repairs, you can trust the professionals at Wilkens Contracting Inc. to get things back in shape. With years of experience, no chimney is too damaged for our skilled team. For more information about how we can repair and restore chimneys in Toronto, please feel free to continue browsing through our website. Click here to find our contact information and to request a quote.